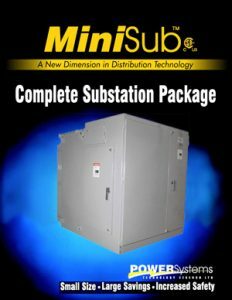 CSA approved and the smallest footprint switchgear you will find. Primary load break switches offer SF6 filled technology to provide maintenance-free (with pressure alarm option) service for the life of the unit. 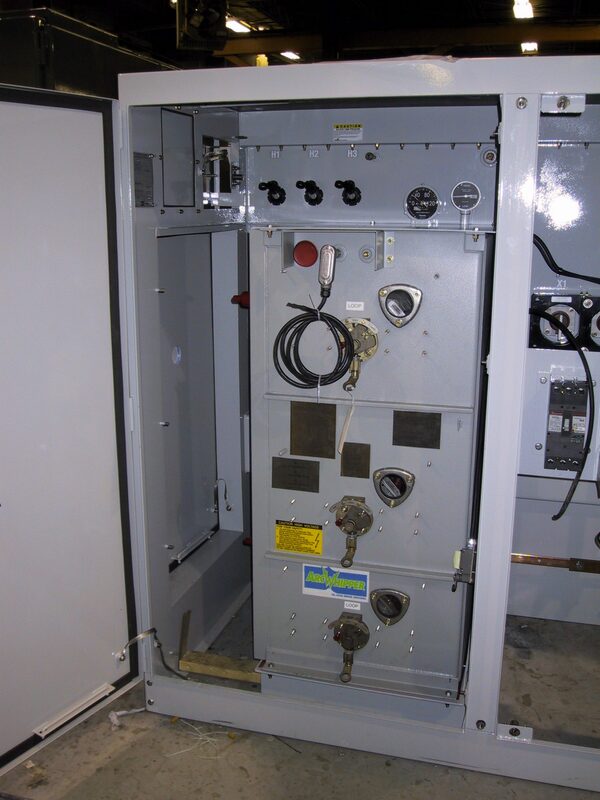 Switch tanks are ¼” thick steel with a highly corrosion/abrasion resistant 5 mil epoxy finish. External fittings and fasteners are marine grade stainless steel or bronze. 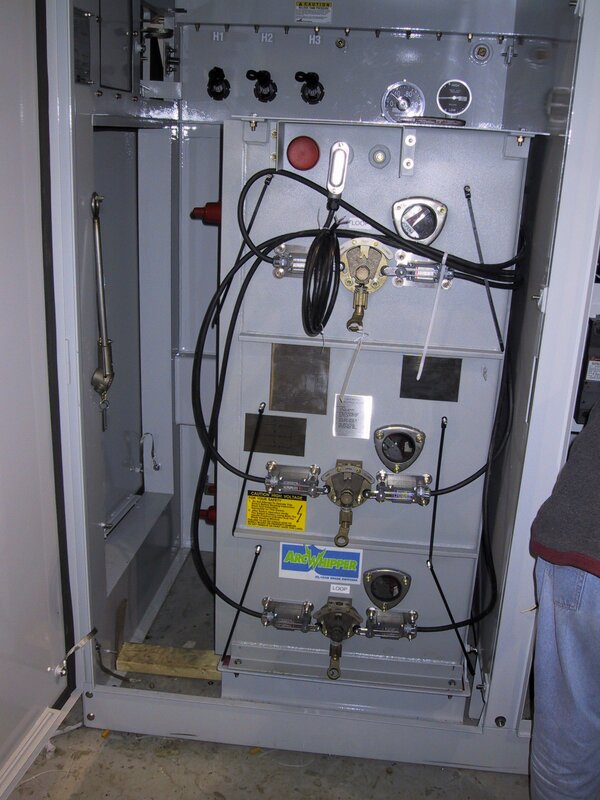 For increased corrosion resistance, stainless steel tanks can be provided. Current carrying parts are high conductivity electrolytic grade copper with plating, locking fasteners, and torque wrench assembly to assure permanent low resistance connections. Moving contacts are self-aligning, self cleaning (wiping type) and designed to increase contact pressure with increasing currents. 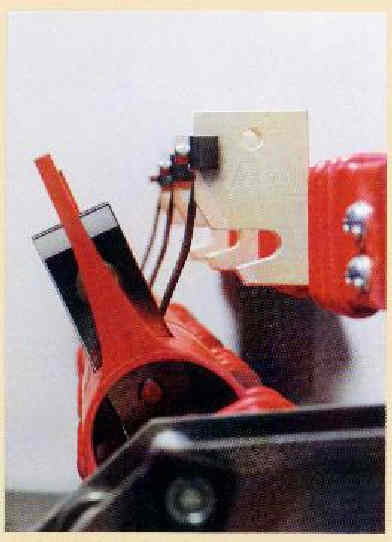 Contact assemblies are supported by high strength, molded glass polyester insulation with flex connectors at critical locations to prevent stressing and misaligning due to high current or mechanical forces. 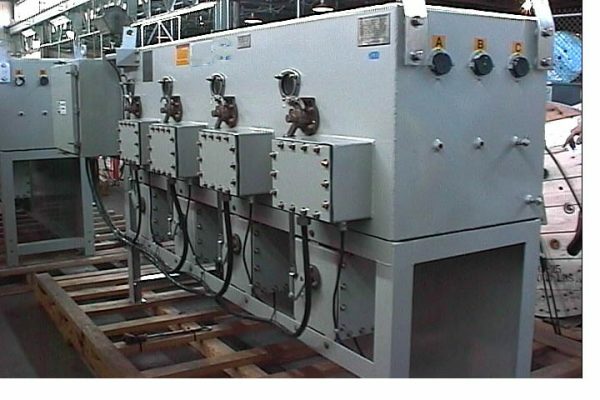 Are available as required to prevent paralleling feeders or to limit access to energized equipment or to otherwise coordinate proper system operation. 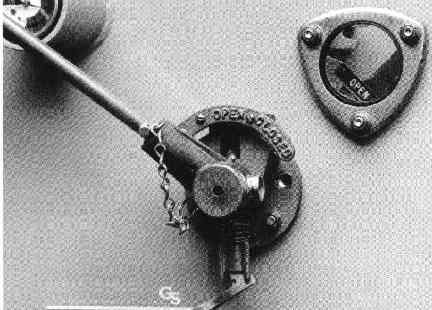 Keylocks are mounted on the specified switched ways with locking provided for the required position.